Easy way to tell the difference: In Scotland they shoot grouse. But they sip Famous Grouse. The red grouse is not in fact the national bird of Scotland -- that's the golden eagle -- though the Edrington Group tried to campaign for their whisky's bird during the voting in 2004. 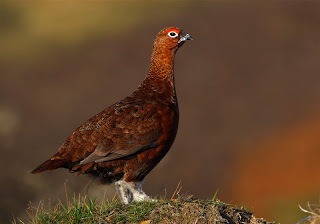 But the red grouse is very prevalent in Scotland and very popular to bag on the hunt. In fact the first day of the "shooting" season has been named The Glorious Twelfth (as in August 12th). According to Charles MacLean's excellent Scotch Whisky: A Liquid History, The Famous Grouse blend was created by Matthew Gloag & Son Ltd around 1896 in Perth, Scotland. Ownership and management remained in the family until the 1970s when Highland Distillers took over. In the late 90s, a group led by Edrington purchased Highland Distillers. Today, The Famous Grouse remains The Edrington Group's flagship brand. It's amongst the top 10 best selling scotch blends in the world. And it's been #1 in Scotland since 1980. 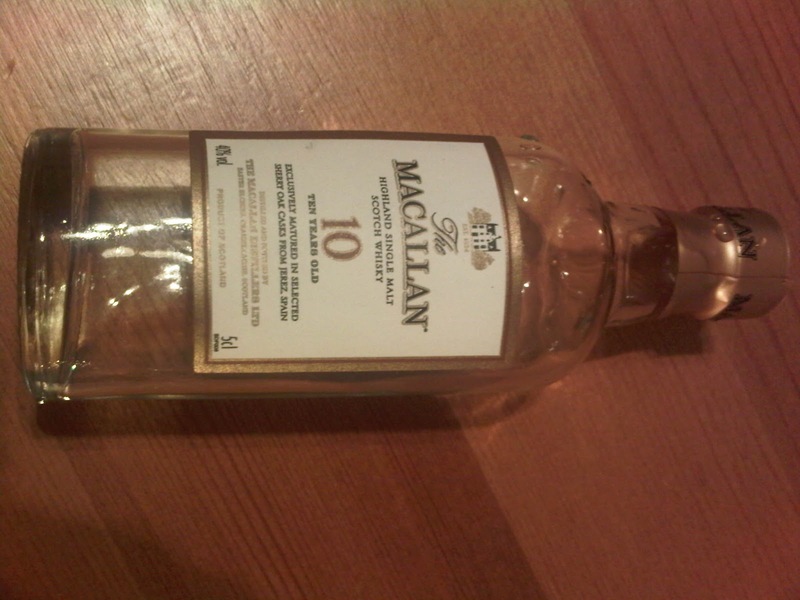 Its recipe include malts from Macallan, Highland Park, Glenrothes, and Glenturret (all Edrington properties). Its visitor center resides at Glenturret's little distillery in Perthshire, but much of its blending occurs at Glenrothes. They've now expanded the brand to Black Grouse (peated), Snow Grouse (blended grain), Naked Grouse (includes sherried Macallan and Highland Park), Gold Reserve (12 yr), and a pair of blended malts. The color is a darker gold than most blends, approaching a maple syrup hue, likely due to caramel colouring. The nose is full of oak, maybe a touch of sherry and dried fruit, vanilla bean, soil, and cinnamon. 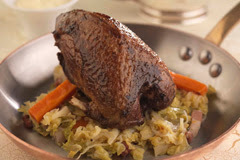 The texture is very soft and creamy. A decent palate with almost no cheap grain notes. Instead there's vanilla, coconut, custard, and sugar cookies. It finishes sweetly, molasses and caramel, much more pleasant than most blends I've tried. The nose becomes prune-ish, dusty, oaky, with some sulphur sneaking in. Seems like water stirs up the sherry wood. The palate stays sweet and creamy with vanilla and salt. It finishes quietly with more of the vanilla and salt. I'm going to double-down and say that it now noses like that Mac 10 Sherry. Keeps some of the character through the club soda and ice. It's a little buttery, some grain whisky slips through, as well as some caramel. Last year, I brought back a mini of the Mac 10 Sherry from the UK. When I'd polished it off I didn't take any notes, but I was surprised at how sleepy it was for a young whisky, and how significantly less exciting it was than the 12yr. 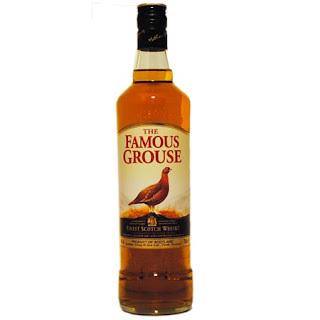 In the UK, Famous Grouse sells for half the price of Mac 10, but it has enough similarities to make it a frugal alternative. 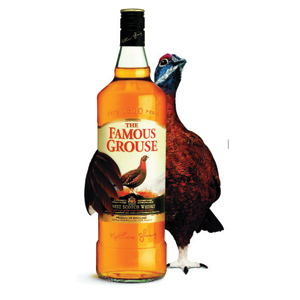 What I like about Famous Grouse is that it tastes less of cheap grain whisky than most sub-$20 blends I've tried. Its malt content holds up much better. I know "Wow, It's Okay!" won't make for a good marketing blurb, but it's a full step more enjoyable than any of the blended scotches that I've reviewed this month (up to this point). Trader Joes has a one liter bottle of it selling for $19.99. I'm intrigued. The Famous Grouse has several blended malts in the line up (up to a 30 year old). I recently picked up a bottle of the 18 year old because it was about $20 less than JW Gold. My first thought upon tasting was someone mixed Macallan 18 with Highland Park 18 because I could not taste any other malt in the blend. It actually made me curious about blending those two together at home and comparing it to the FG 18 (if I only had the budget for those bottles). 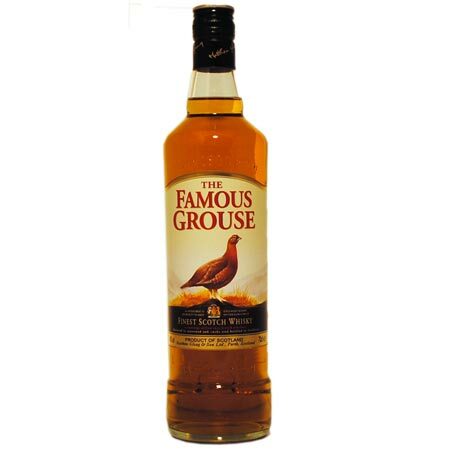 Famous Grouse 18 sounds great, actually. Did you find it for $60 or is there a hidden place that sells it for less? There are some places that sell minis of Mac18 and HP18, so that might be a cheaper shortcut. In LA one would have to drive all over town. Beverage Warehouse has HP minis, while Mission Liquor has Macallan minis. Sometimes Hi-Time has both. Bevmo is selling Famous Grouse 18 for $65 ($60 to $70 is my reasonable range for this considering Green Label is about $50 to $55). I actually grabbed the last HP18 mini at Beltramo's in Menlo Park (down the road from K&L in Redwood City) and a mini of Macallan 18 in the bunker so I might attempt it. I don't know what Glenrothes or Glenturret taste like (have a Chieftan's Glenturret 21 in the bunker) but it seemed obvious to me that the Macallan and Highland Park completely dominate FG18 that I doubt I can identify any other single malt in the blend. Ah, you're up North. Can't wait to hit Beltramo's and K&L next time I'm in that part of town (hopefully soon). I've had a few vintages of Glenrothes. None of them bowled me over, but the 1991 was pretty good. For the most part they seemed nondescript to me, so they're probably excellent as a Speyside for blends. I would think HP and Macallan would stand out more too. Not sure about Glenturret (yet) either. Uh oh. Edrington is now selling a pre-mixed Famous Grouse & Cola in a can. I don't know why but I want to try some. Why aren't they exporting the stuff here??? This is Coca Cola country, they have to sell it here! Actually, I'd drink it once too. Famous Grouse is already a bit of a sweetie. Would Black Grouse and Coke be any better...? The disturbing thing is there is ALSO a pre-mixed Black Grouse & Cola in a can. Time to see if any UK stores can ship a six pack over here. That's funny, I had the same exact thought, "Why make my own when I can just buy it in a can?" I'm still idly interested in the Black Grouse and Cola combo. Diageo has Bulleit Bourbon and Cola in a can in UK and Australia. It's 8% ABV in approx 8 ounce cans. The cans say it is "Expertly Mixed." I'll bet.